Join us as the Capital Region’s newest luxury boutique hotel celebrates an amazing first year! 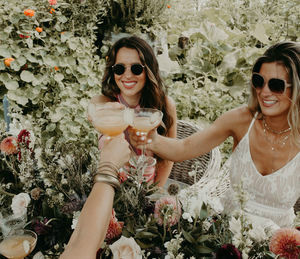 Come celebrate in style dressed in white at DELAMAR West Hartford’sWHITE PARTY! Enjoy passed hors d'oeuvres & drinks by Artisan West Hartford, anniversary cake from Creative Cakes by Donna, cappuccinos & espressos from Formal Indulgence by the Signorellos & music by DJ Connie Carmona! See the evolution of the hotel from construction to opening day, and now at its first anniversary. Tickets must be purchased online, ticket sales will not be available at the door. Complimentary Valet parking available through the front entrance of the hotel.